THE SERIES IS COMING. THE SERIES IS COMING! Nice paint job, too bad its such an awful show. Bleh, Menard dragging his feet costs us a 3rd Yates car. Its a good think I'm mostly checked-out on NASCAR this season or I'd be fairly PO'ed. 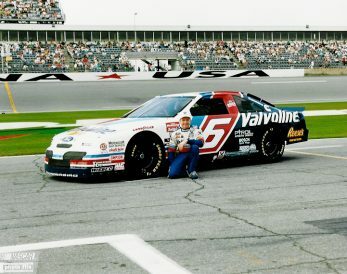 I like the old Valvoline paintjobs better, but its a start. Last edited by Zastava_101; 9/14/08 at 07:50 PM. Kvapil's on pole for Sunday's race. Looks like Gilliland's in deep trouble after that crash with Montoya tonight. Is it looking like Valvoline for the 28 sponsor next year?